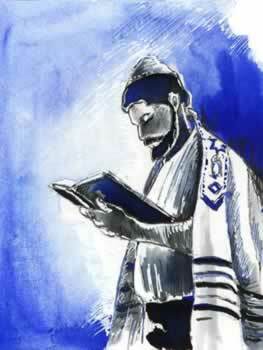 In Talmud Shabbat 118b, Rabbi Yose proclaims: "May my portion be with those who complete the Hallel every day!" On its surface, this comment seems absurd. Hallel is a prayer that consists of special praise and is reserved for the festival liturgy; it is far too exalted for the services of ordinary days. As such, Rambam and others qualified Rabbi Yose's statement, explaining that the weekday "Hallel" refers to Psalms 145-150, the concluding chapters of the Book of Psalms. Over time, these psalms became the core of Pesukei d'zimrathe morning proclamation exalting the majesty of G-d and the miracle of His Creation. These psalms attempt admirably to capture in words the incomprehensible vastness of G-d's glory. As such, Rabbi Yose held these psalms in the highest regard, and considered one who "completes Hallel"by reciting Pesukei d'zimraworthy of great reward. As a unit, Psalms 145-150 contains a dual focus: it expresses marvel at the wonders of nature, and reminds the worshiper of G-d's bond with His people. Psalm 146, for instance, states: "Happy is he who has the G-d of Jacob for his help, whose hope is the Lord his G-d, maker of heaven and earth, the sea and all that is in them; who keeps faith forever; who secures justice for those who are wronged, and gives food to the hungry." This passage suggests that mindfulness of G-d (an awareness enhanced by psalm recitation) leads to both spiritual and physical fulfillmentG-d consciousness results in tangible rewards. Through the recitation of such words, the worshiper is reminded of the interconnectedness of G-d, nature, and Israel. With this, we see a very literal way in which recitation of Pesukei d'zimra can bring reward. Perhaps more than any other grouping in the Book of Psalms, chapters 145-150 exalt the splendor of G-d. They explicate the vastness of G-d's handiwork and laud Him with the highest possible praise. In contrast with much of the other psalms, which contain complaints, petitions, and references to warfare, the psalms of Pesukei d'zimra are songs of "pure praise"hymns that glorify the unfathomable greatness of the Divine and His creation. For example, Psalm 148 begins: "Praise the Lord from the heavens, praise Him on high. Praise Him, all His angels; praise Him, all His hosts. Praise him, sun and moon, praise Him, all bright stars." This theme of ultimate praise is seen throughout Psalms 145-150, which likely accounts both for their placement at the end of the Book of Psalms, and their inclusion in the weekday "Hallel." Just as they are a fitting climax to the Book of Psalms, they are ideally suited for praising God in the context of worship. Undoubtedly, the passionate language of these psalms moved the rabbis; they saw value in an individual expressing such high praise for G-d. Just as these words of praise are elevated above ordinary language, the worshiper who recites them is elevated above ordinary consciousness, and enters the realm of prayerfulness. Additionally, it was likely a custom among the sages to recite the entire Book of Psalms prior to the morning service. These men recognized the need to prepare their minds for the experience of prayer. Such recitation, however, while spiritually desirable, remained optional. As a result, the majority of worshipers came to the morning service toward the end of the reading of the psalmsjust in time to hear some of Psalms 145-150 (the "completion of Hallel"). It is therefore likely that, as a result, these particular chapters from the Book of Psalms became very popular, and the rabbis recommended that these verses be added to the morning service. The inclusion of Psalms 145-150 in the morning liturgyin the form of Pesukei d'zimramay have thus been a natural processa development from the optional recitation of the Book of Psalms to the inclusion of key psalms in the morning service.